Magee Gammon Get the Magee Gammon tax and accounts app FREE! 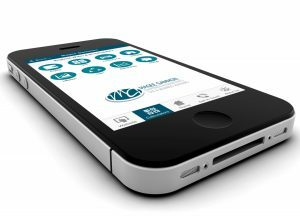 Magee Gammon Chartered Accountants is one of the very first accountancy firms in Kent to launch a free mobile Tax App. The great news is that this App can be downloaded free onto your iPhone, iPad or Android devices. It’s packed full of some really useful Tax Tables, Calculators and important financial dates, all of which you will be able to access for free, anywhere you have an internet connection on your device. You can download the App completely free of charge by using the QR code (left) or simply by using the app store links below, alternatively, you can search for MyAccountants in the Apple or Play store. What will the Magee Gammon Chartered accountants Accountancy Tax App do for you? The App has been carefully designed in response to the growing use of smartphones and mobile devices used by our clients across Kent. We wanted to develop a way to keep you up to date with the very latest news, views and tips from Magee Gammon Chartered as well as providing you with key accounting data, in real time, at your fingertips. As a Magee Gammon Chartered Accountants, we are committed to finding ways to communicate and interact with clients in the most efficient possible way. The new App enables us to send push notifications to all App users. We will be using this feature to share important news, deadline reminders and financial updates with you. This App was designed to provide every service you could ask from us. We’ve put your favourite business systems, invaluable tools and features such as calculators and mileage logbooks, instant access to the latest financial news and information and valuable company info, directly from us. With all this on one App, our App will likely be your go-to tool in the future. Why did Magee Gammon Chartered accountants develop its own App? Here at Magee Gammon Chartered accountants, we like to think that we are proactive by helping companies and individuals across Kent to become more successful, more profitable and ultimately more enjoyable to run. The Magee Gammon Chartered accountants App gives you fantastic content and it makes it really easy to keep in touch. It has a simple ‘arrange to meet’ page, along with all our contact information as well as links to our social media pages. We hope you enjoy the Magee Gammon Chartered accountants App!